"We are incredibly excited that a true American warrior, “Mack” Machowicz, will be with us, and amazing country music star Kevin Black will perform. 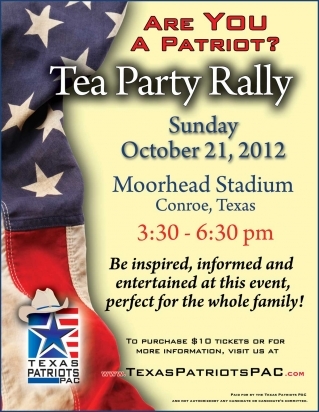 The Rally will be held on Sunday, October 21, from 3:30 until 6:30 pm at the Moorhead Stadium in Conroe. Tickets are $10, and are available online or at the door, rain or shine.